University of Pittsburgh Press, 9780822963127, 88pp. David Roderick’s first book of poems, Blue Colonial, won the APR/Honickman Prize. He has published poetry and fiction in several journals, including the Hudson Review, the Georgia Review, Indiana Review, New England Review, Poetry, the Southern Review, Slate, and the Virginia Quarterly Review. Roderick is a former Wallace Stegner Fellow and was awarded the Amy Lowell Travelling Scholarship, among other honors. Poems from this collection have won Shenandoah’s James Boatwright III Prize and the Campbell Corner Poetry Prize, sponsored by Sarah Lawrence College. Roderick is associate professor of English in the MFA program at the University of North Carolina at Greensboro. "We must listen to these timely words and remember the power of poetry to depict a society, to inspire change." "The life of comfort and its discontents is familiar territory, to be sure—but don't assume we're in the territory of 'American Beauty' just yet. 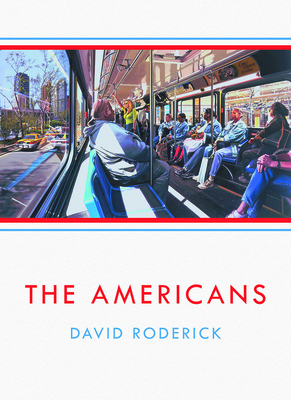 Roderick's nuanced exploration of this life is pointedly not about the lurking repressed desires of suburban consumer life, where the lack of action on the surface cloaks a seething world of carnality and petty intrigue. Instead, Roderick's project in this book is to ponder the price of wars upon a population that has largely not been asked to pay for them in life or treasure. What are we paying in moral capital, Roderick wants to know, for an easy life in the suburbs? And most troubling, what if we have-or he has-'willingly' exchanged morality for comfort?"